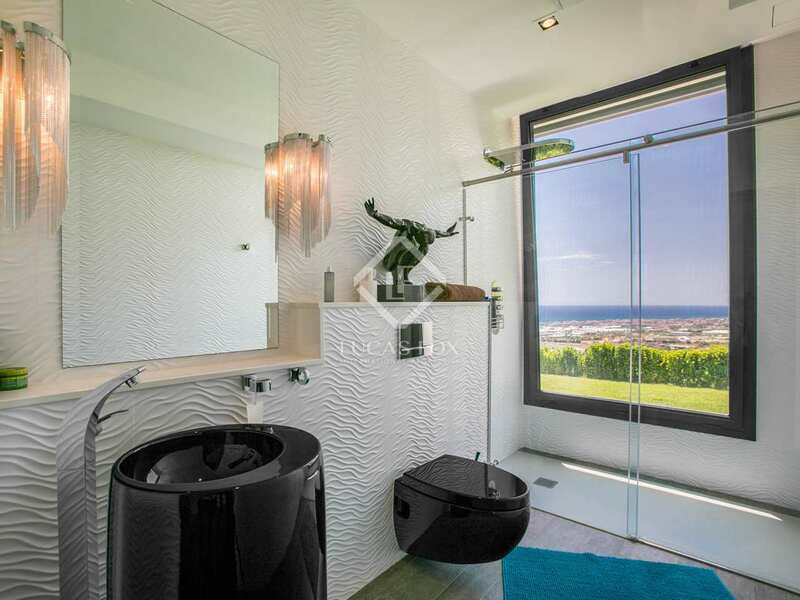 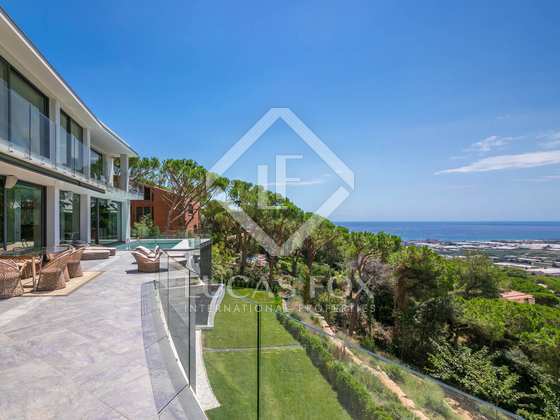 This stunning high-end property, built in 2015, offers stunning views of the sea and Barcelona city from its privileged hillside setting. 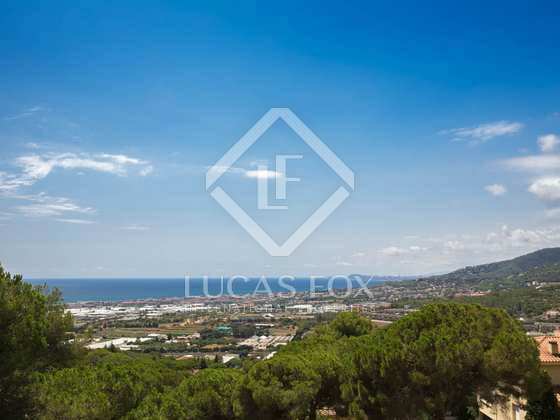 Just a 5-10 minute drive to the beach and the centre of the village, this property enjoys an enviable location in the sought-after area of Cabrils on the Maresme coast. 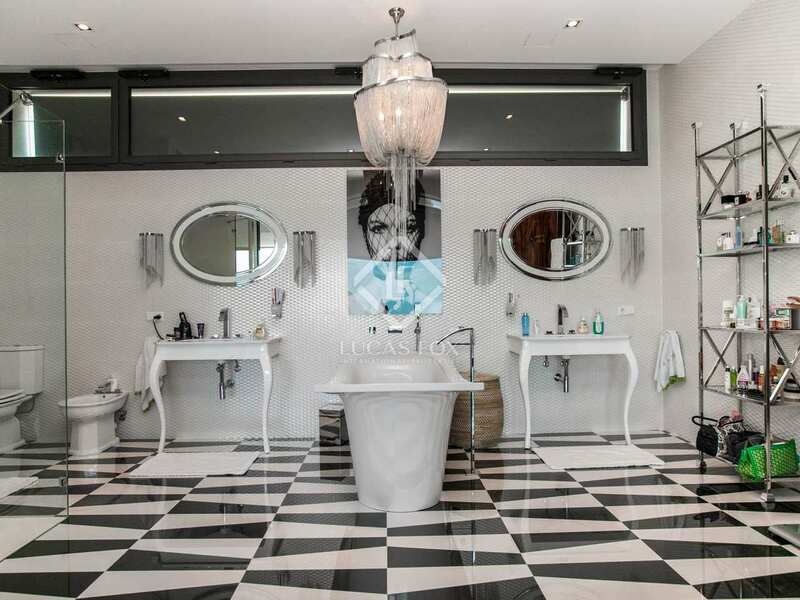 Beautiful modern interiors make this property really stand out. 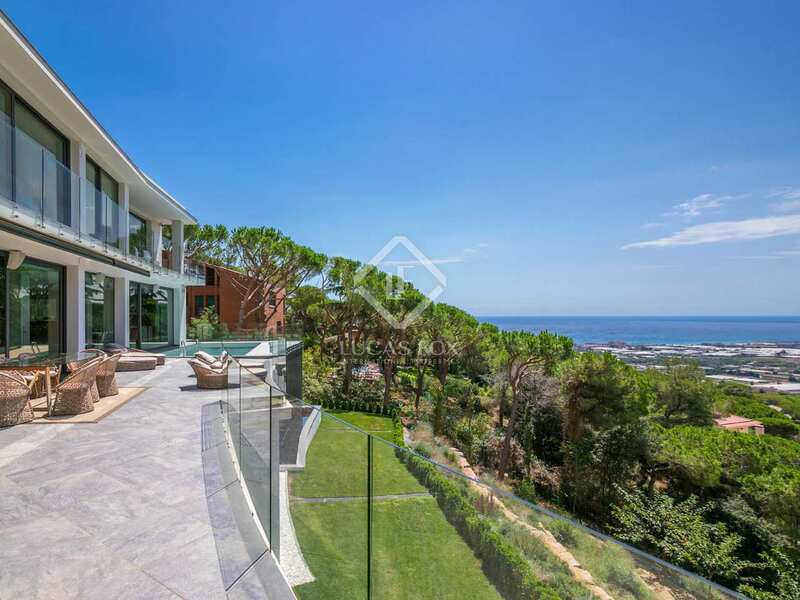 Furthermore, with large windows and extensive terraces, the house is perfectly designed to make the most of the panoramic views and natural light. 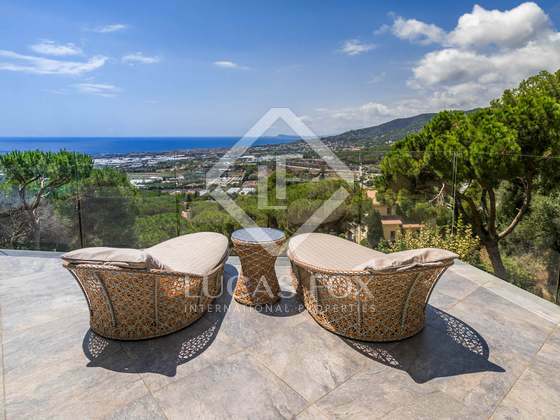 The property has 630m² of constructed area with the main house distributed across 3 floors. 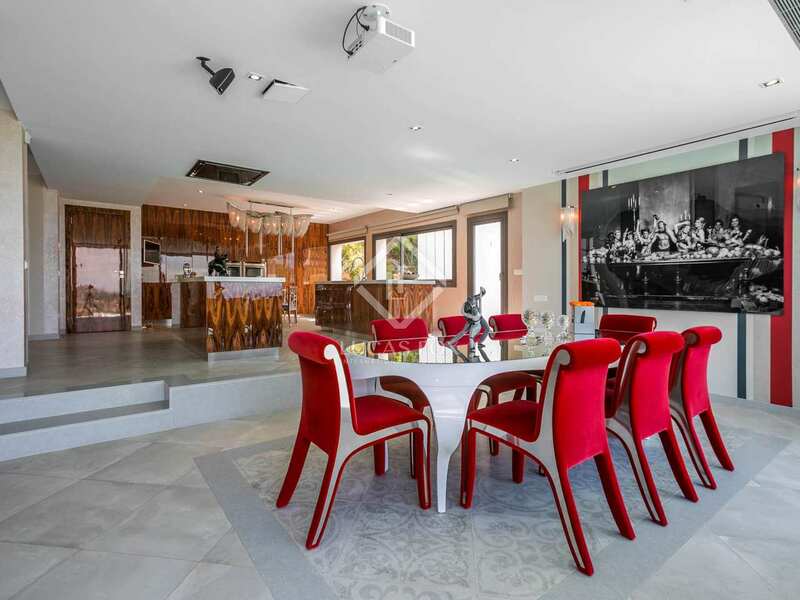 On the ground floor we find the 158m² open-plan living area composed of an entrance hall, dining area and Italian designed kitchen with elegant wooden finishes. 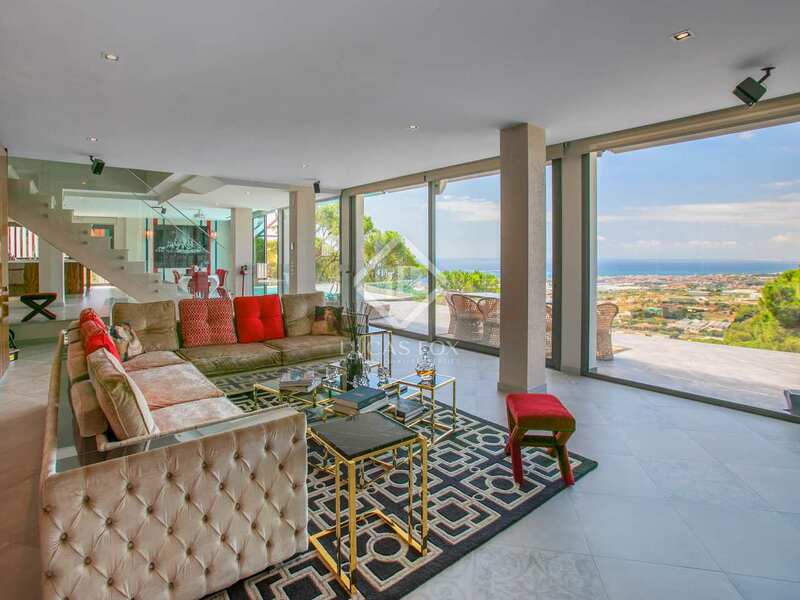 With floor-to-ceiling windows, access to a large terrace and incredible sea views, it is a truly impressive living space. 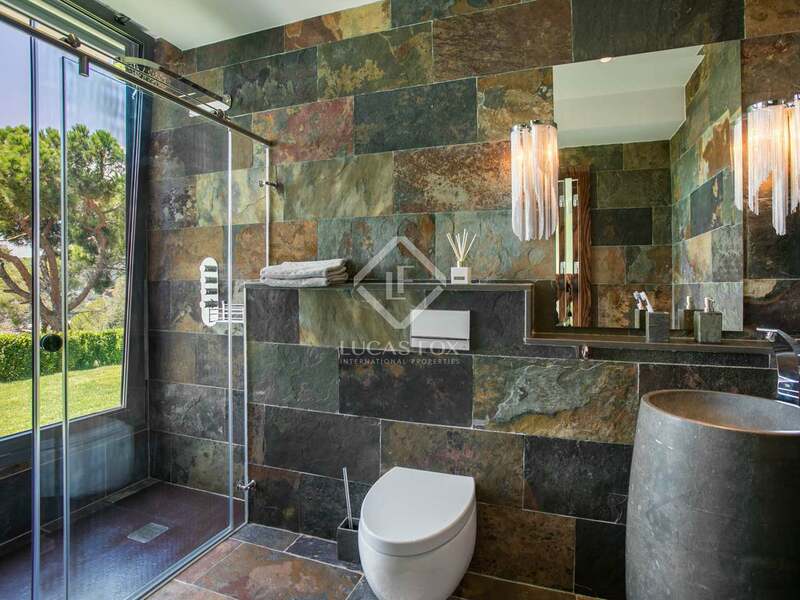 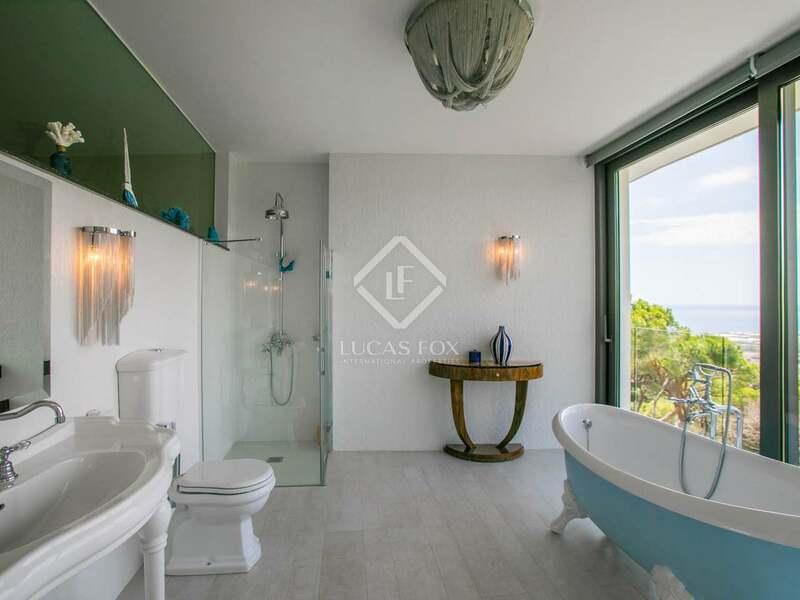 Two of the 5 bedrooms are situated on the first floor, the 60m² master bedroom and a second bedroom both with an en-suite bathrooms and terrace access. 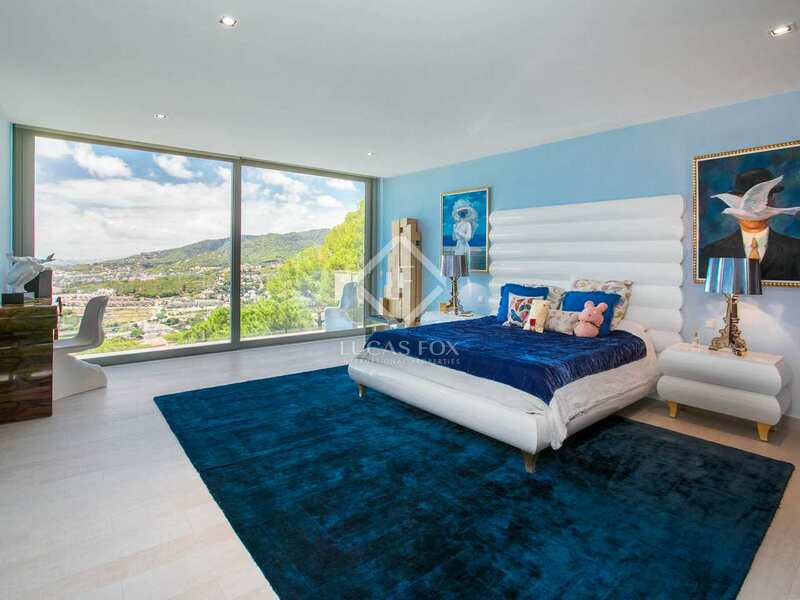 On the lower ground floor there are 2 double bedrooms with en-suite bathrooms and access to the garden and there is also a service bedroom. 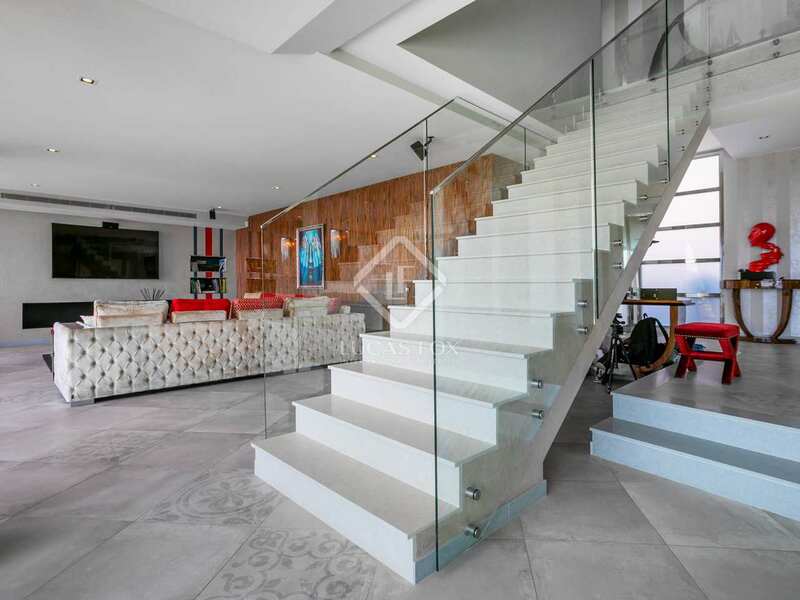 An area prepared for a gym, sauna and cinema, to be completed by the buyer, complete this level. 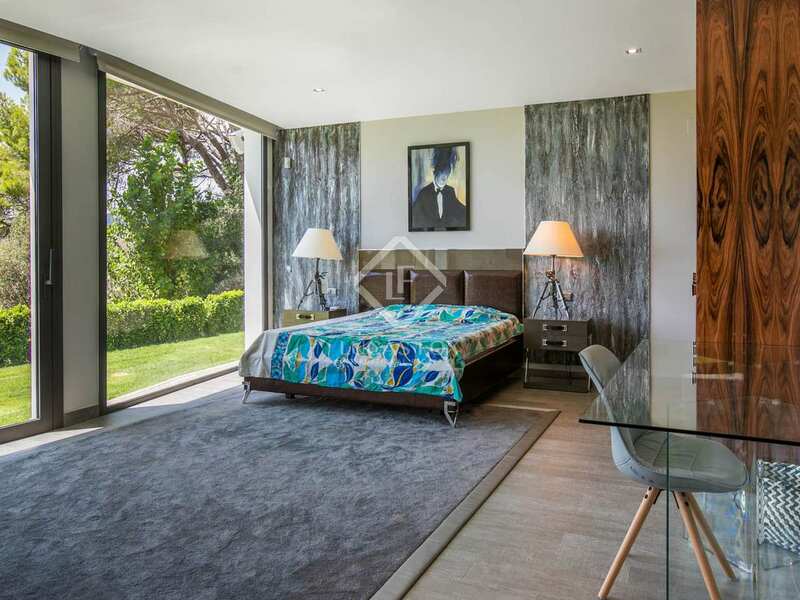 Outside we find a separate bedroom, next to the main house, as well as a 3-car garage and 3-car parking area. 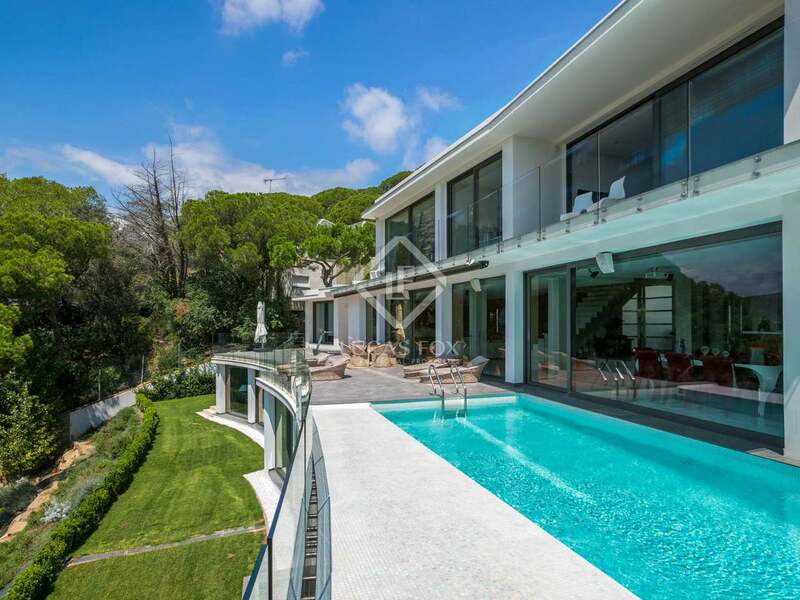 The beautiful infinity pool is surrounded by terraces and landscaped gardens with mature trees and aromatic plants. 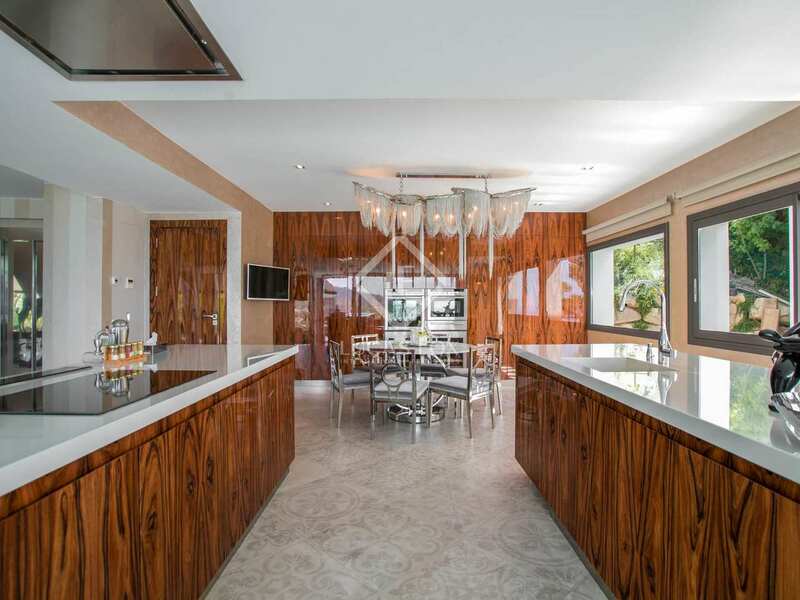 This stunning home is being sold fully furnished and has underfloor heating and state-of-the-art climate control. 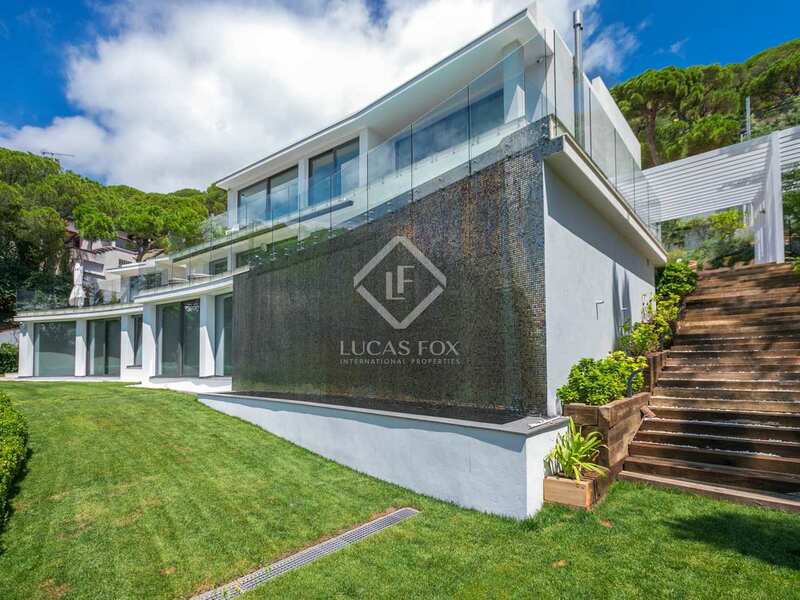 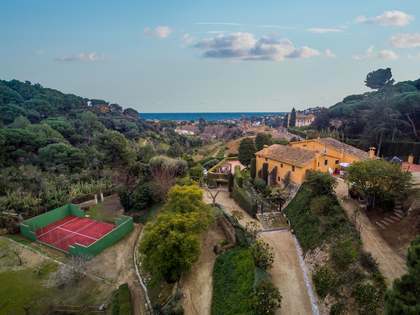 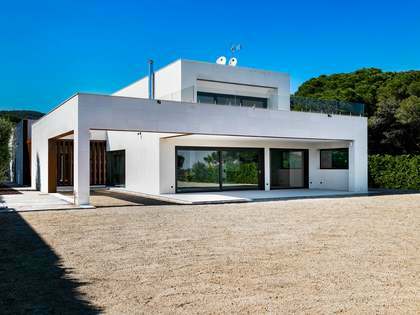 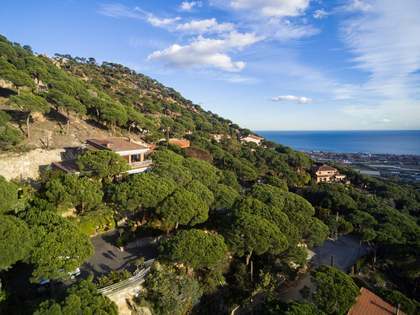 An excellent opportunity to acquire a truly unique property on the beautiful Maresme coast. 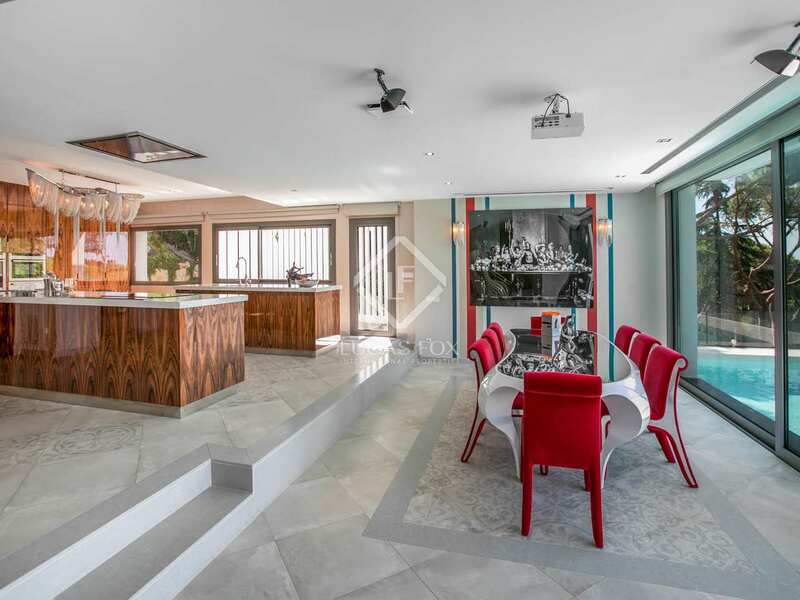 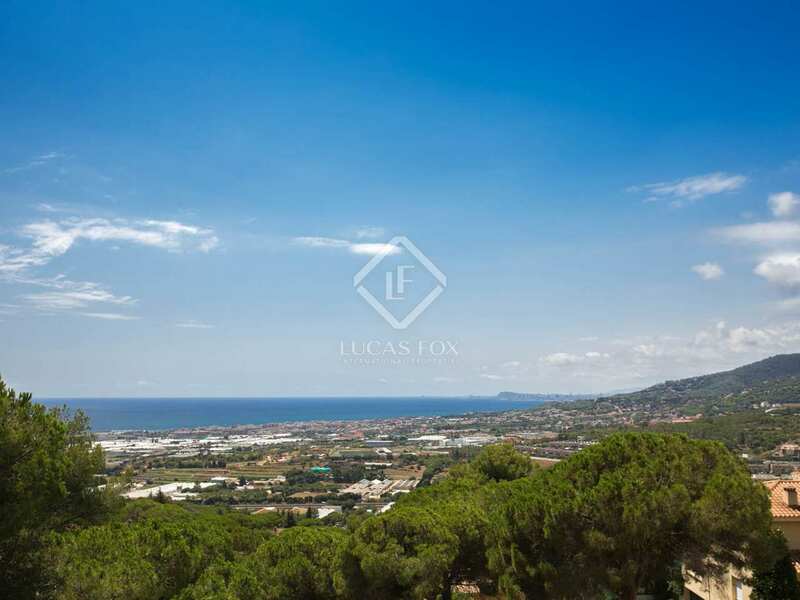 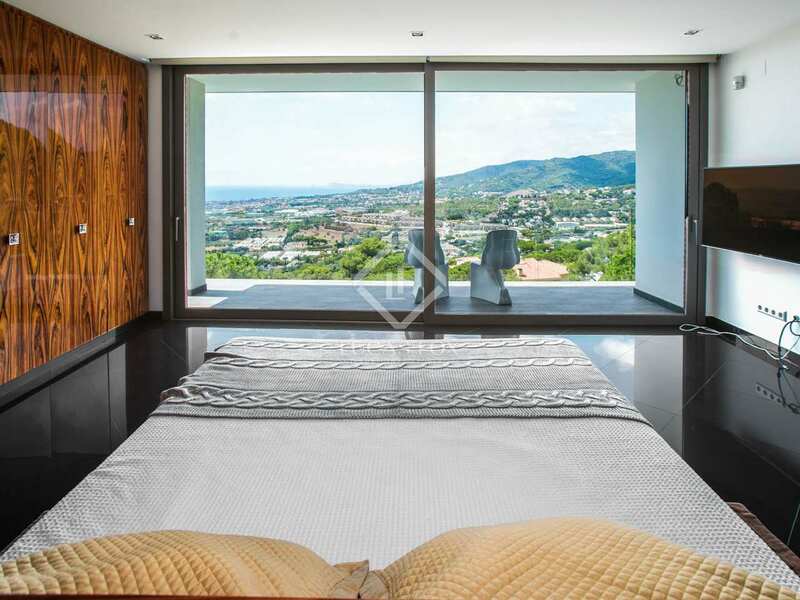 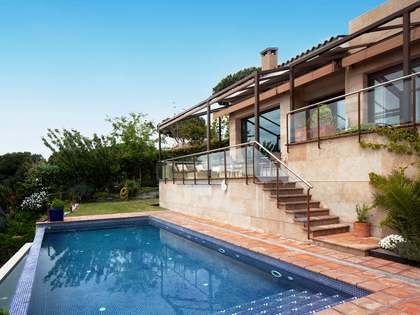 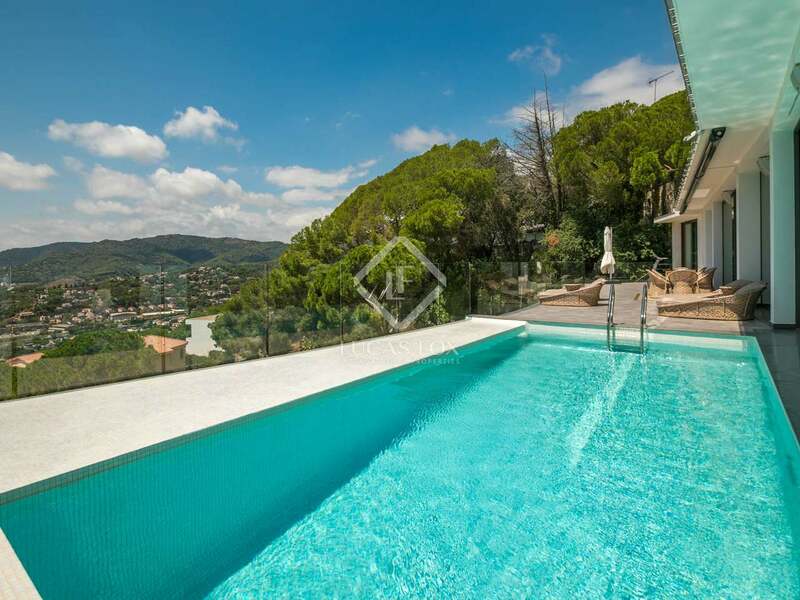 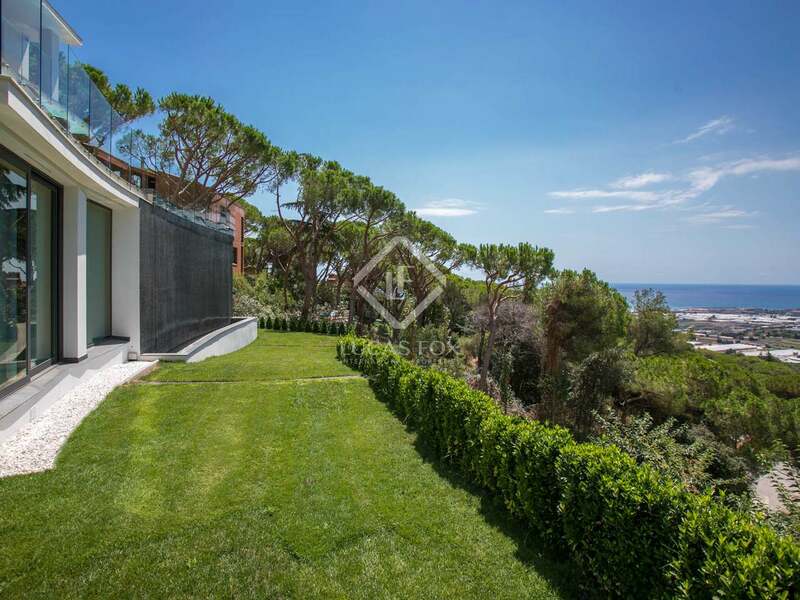 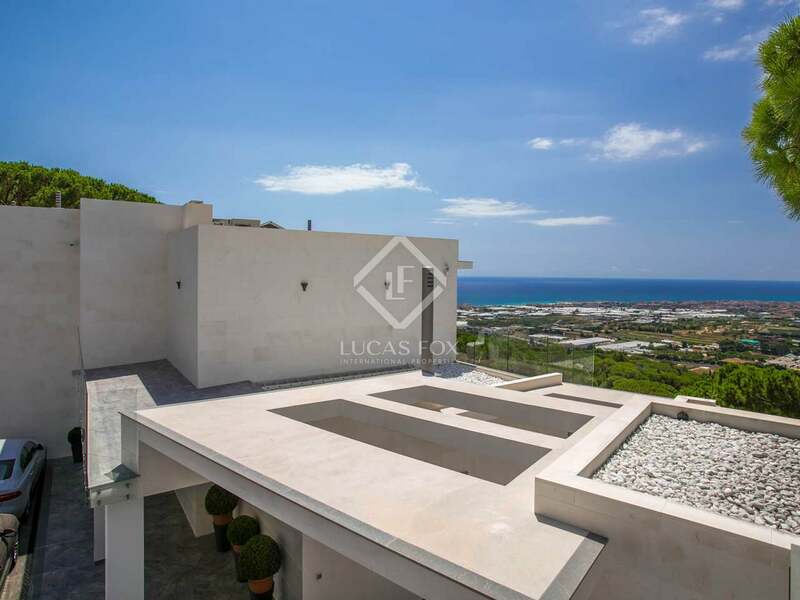 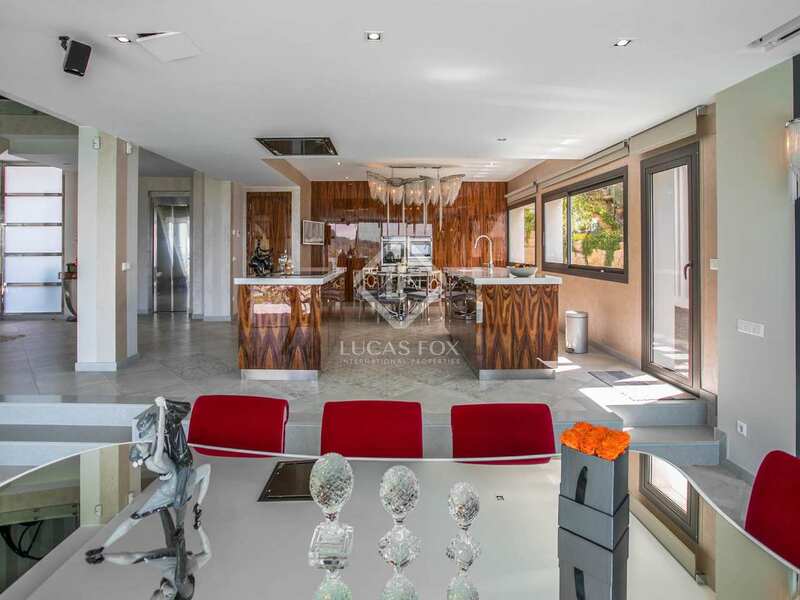 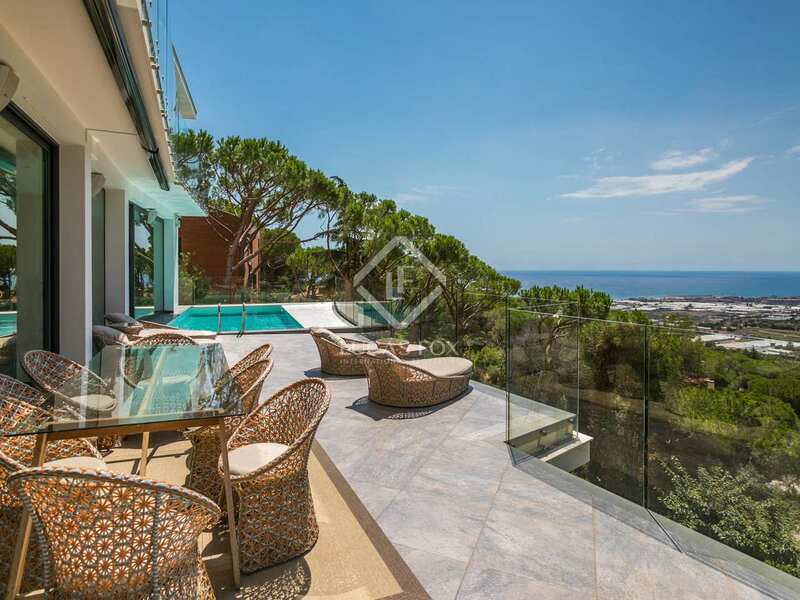 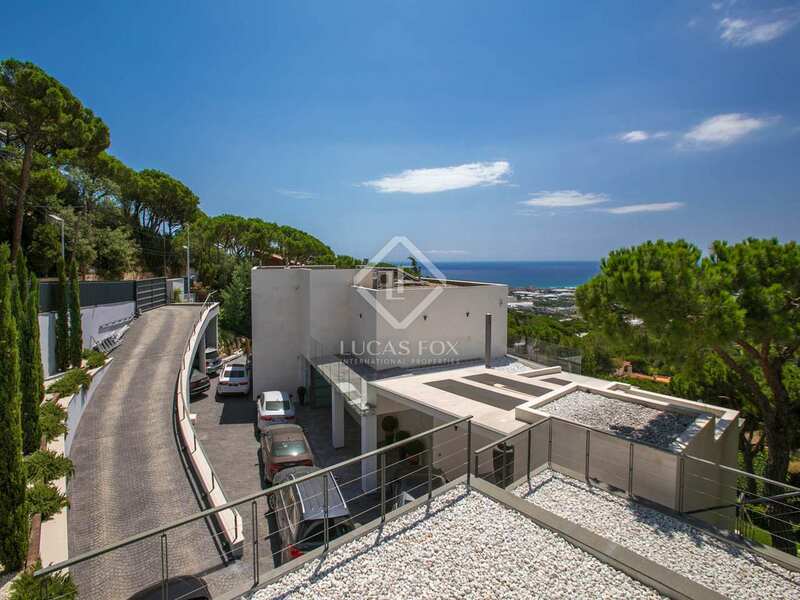 This property is in a stunning hillside location overlooking the sea and Barcelona city. 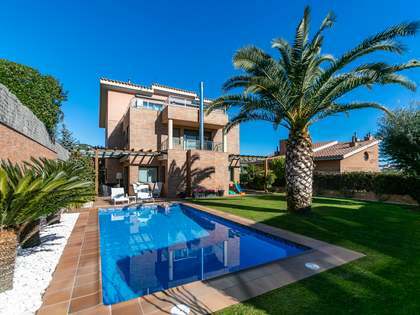 Just 5-10 minutes from the beach and the centre of the village in the sought-after area of cabrils, this property enjoys an excellent location on the Maresme coast.